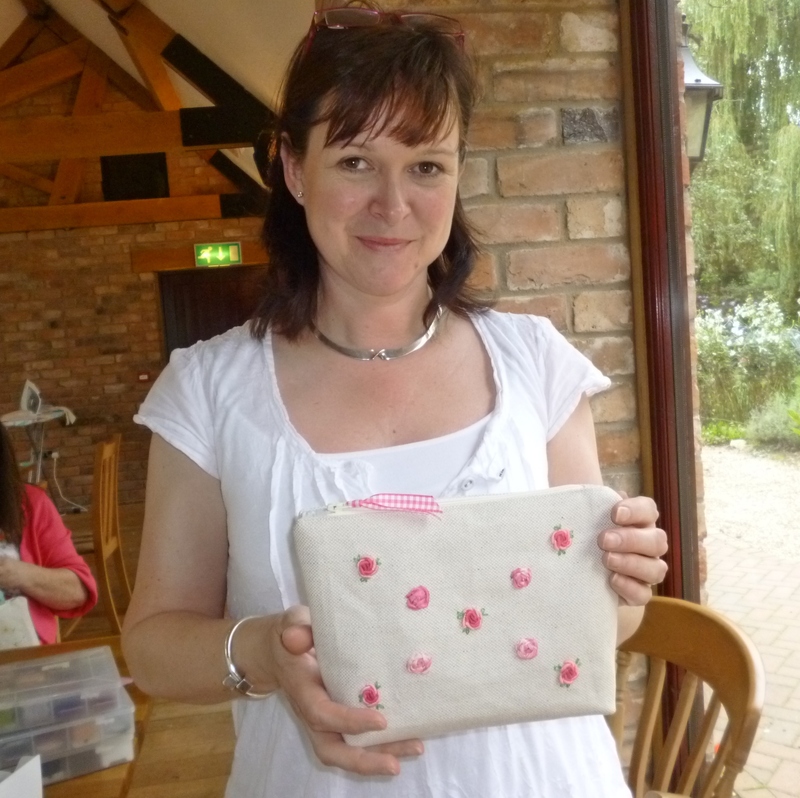 On Friday I ran the second of my hand embroidery workshops this year in conjunction with Manor Farm Tea Shoppe at Bleasby, Nottinghamshire. It really is a lovely setting with a purpose built function room looking out onto the garden with plenty of natural light. 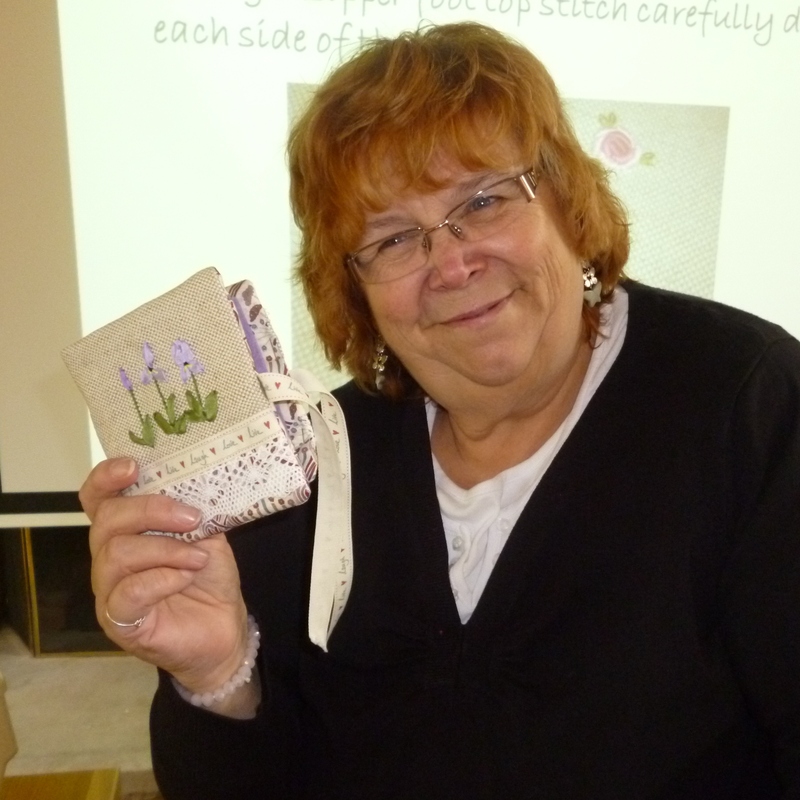 The ladies attending had varying degrees of experience but excessive amounts of enthusiasm, what more can you ask! 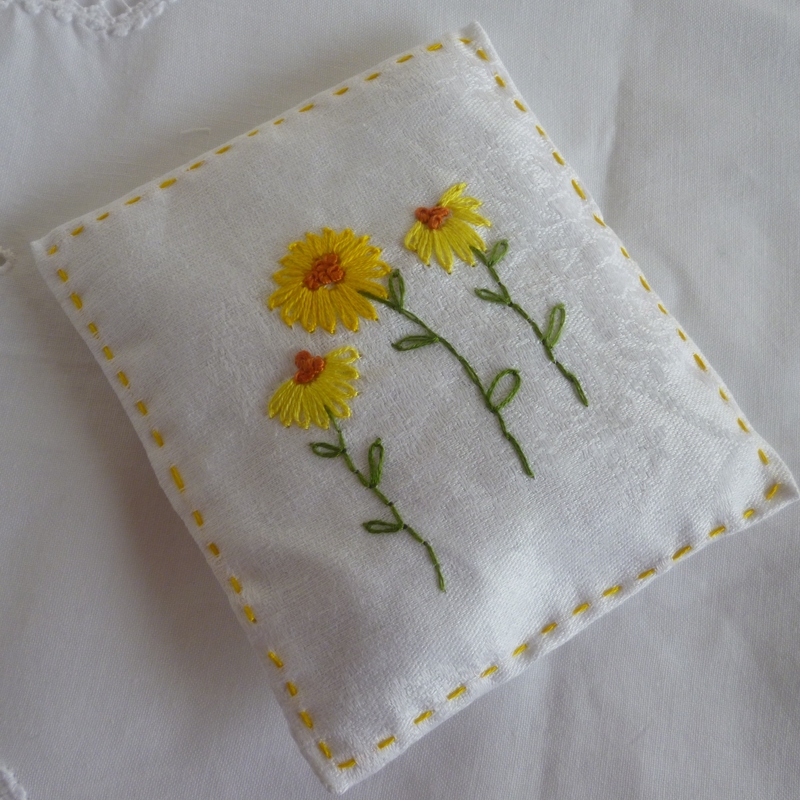 The workshop was designed to introduce some basic embroidery stitches to produce pretty flowers without the hassle of using transfers or patterns. 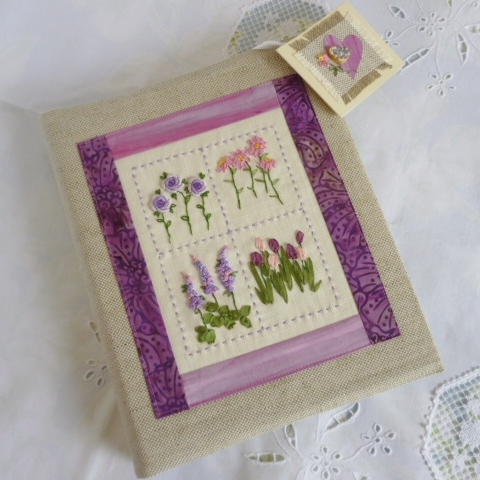 I like the idea of being able to pick a project up and just get on with it whilst watching television or to be able to take it out your handbag and work on it without having to mess around. 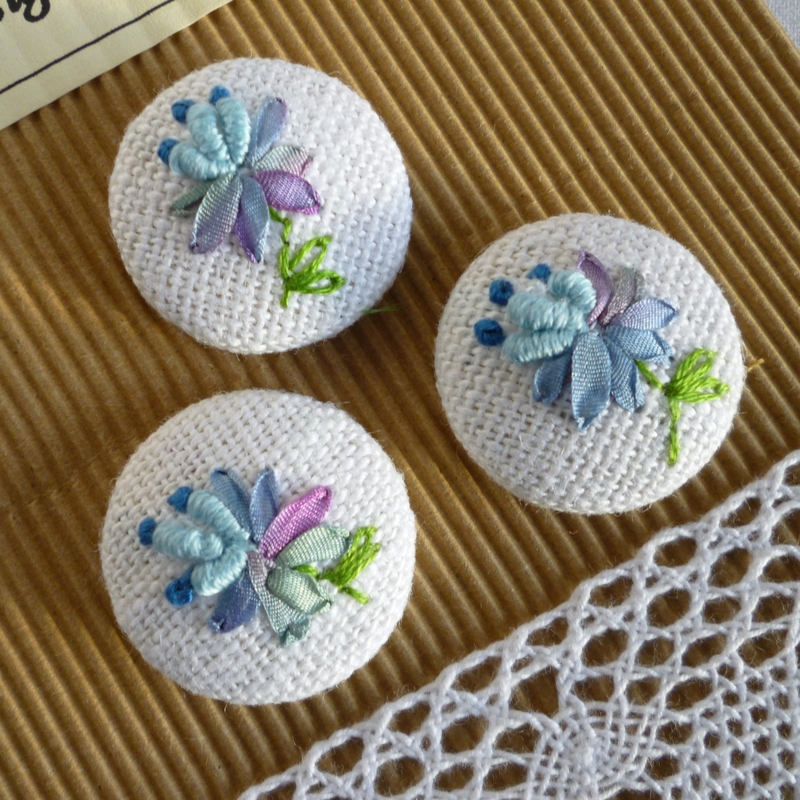 I also like the fact that the embroidered flower worked will be unique and original. 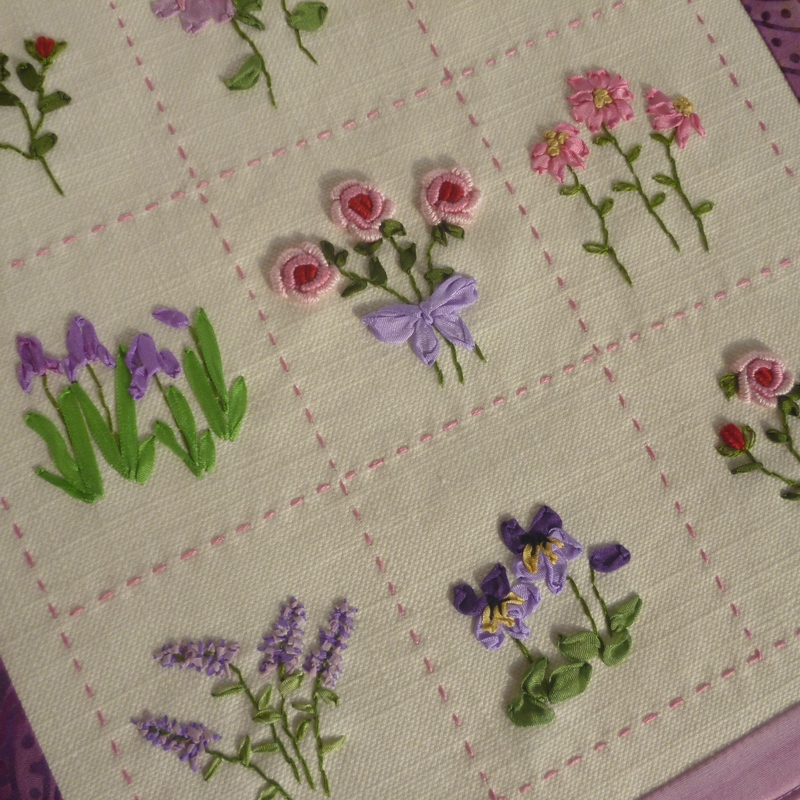 The embroidery stitches we tackled included: ribbon stitch, straight stitch, stem stitch, bullion knots and woven ribbon roses, detached chain stitch, spiral blanket stitch to mention a few, which were then worked to produce pretty silk ribbon roses, stems of lavender, flag irises ,sun flowers, bullion roses and daisies. 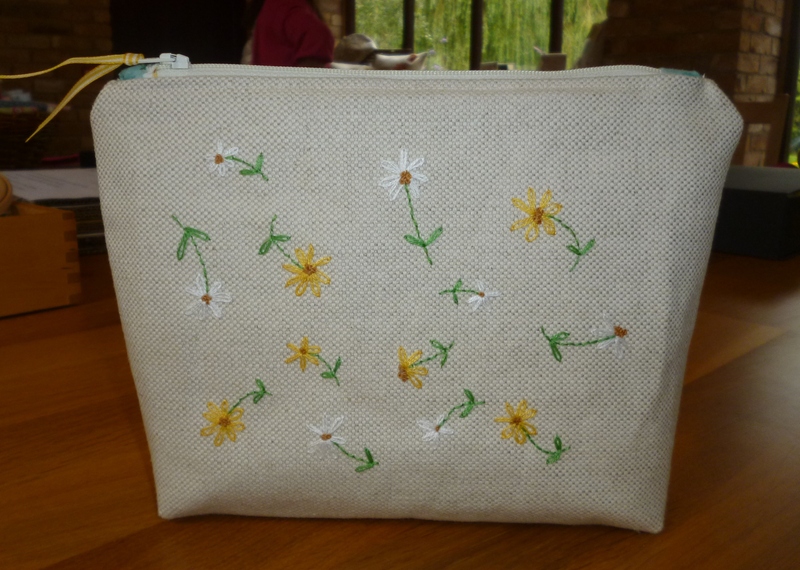 The morning was spent learning and trying out the stitches and then the ladies went on to design and make their hand embroidered cosmetic cases. The results were truly amazing! 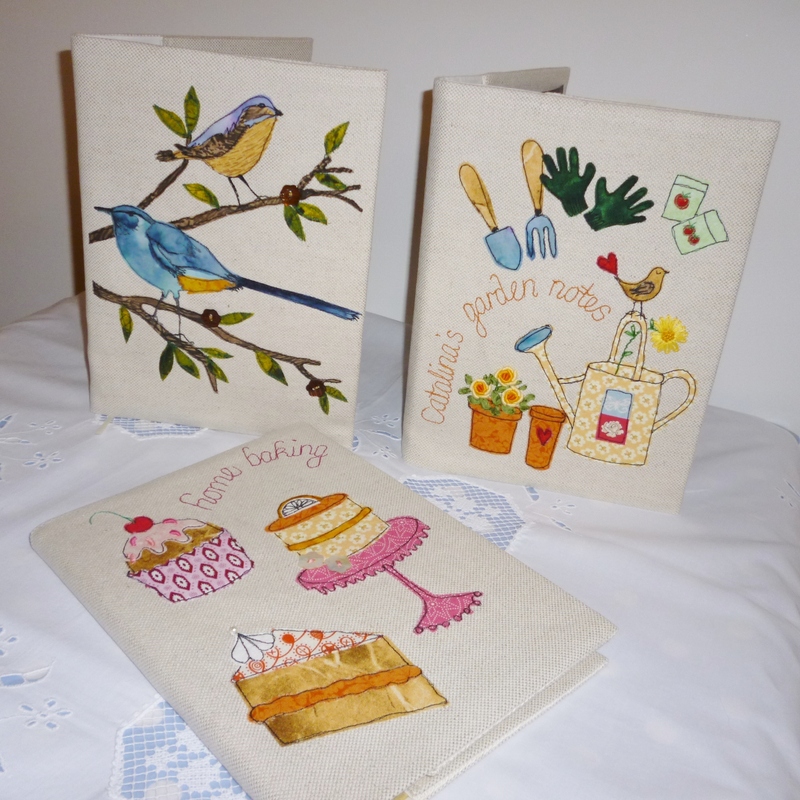 not only were they beautifully embroidered but they were all sewn up carefully and had a very professional finish and fantastic linings (which I forgot to take pictures of!) 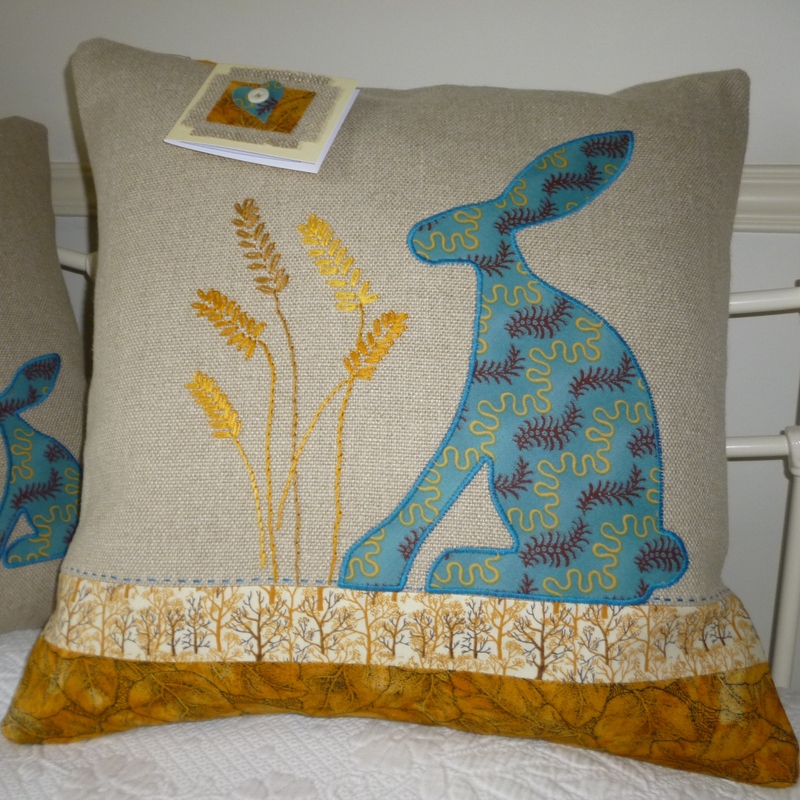 Take a look at the finished items, I think anyone would be pleased to receive one of these as a gift. Well done ladies and thanks for coming along. The skills learnt on the workshop can of course be applied to numerous other projects you might wish to pursue. 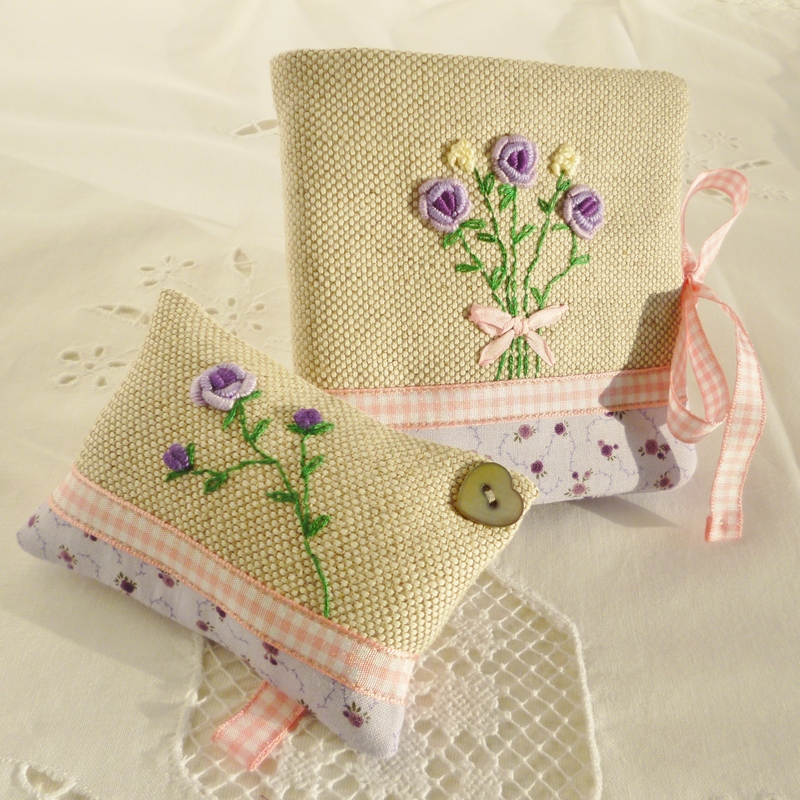 Here’s some items that I enjoy embroidering and making. 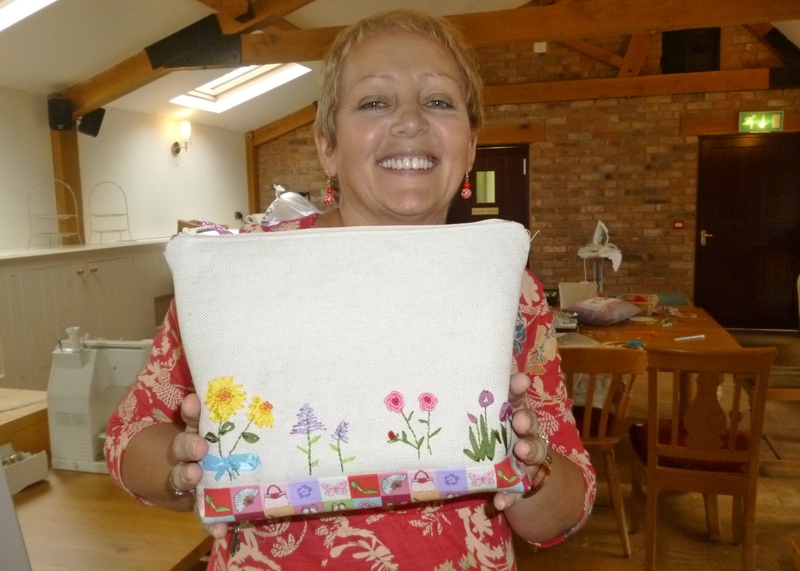 Why not join us at one of our workshops? Relaxed, friendly environment and a great way to spend the day! 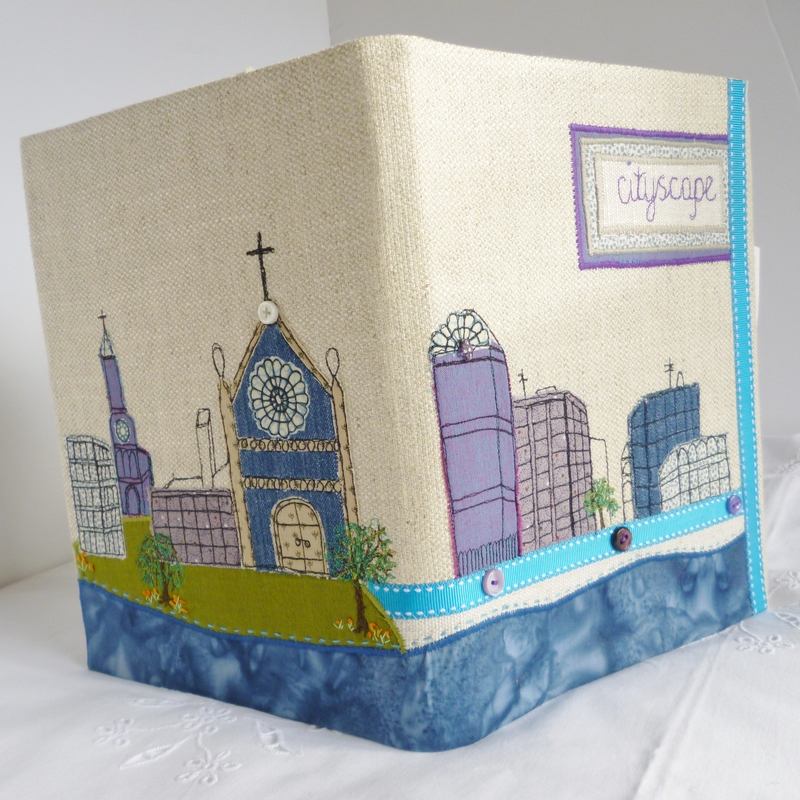 https://janelightfoot.com/events-and-workshops/ New workshop dates for 2013 coming soon! Looks like it was a really lovely day… Some amazing things were made! 🙂 Well done! Thanks Fran, we certainly learnt quite a few new skills. Thank-you Diana, they really were a talented bunch!